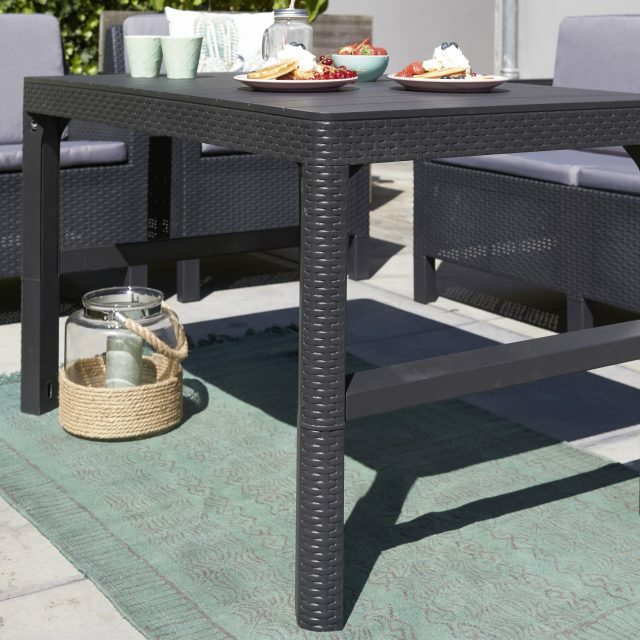 The Lyon table suits different garden styles with its modern design. 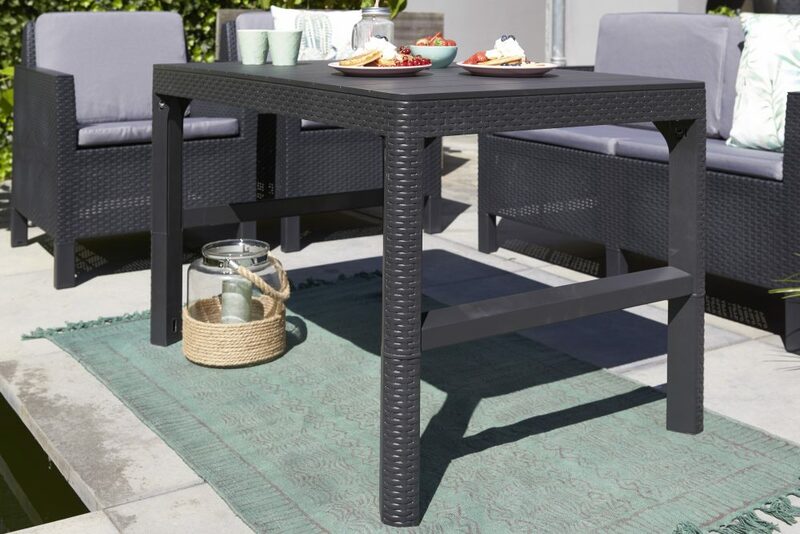 The table is carried out in elegant flat wicker and finished with a rezolith wood look table top. 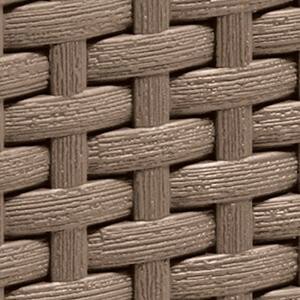 It can be combined with other garden furniture from the flat wicker range. 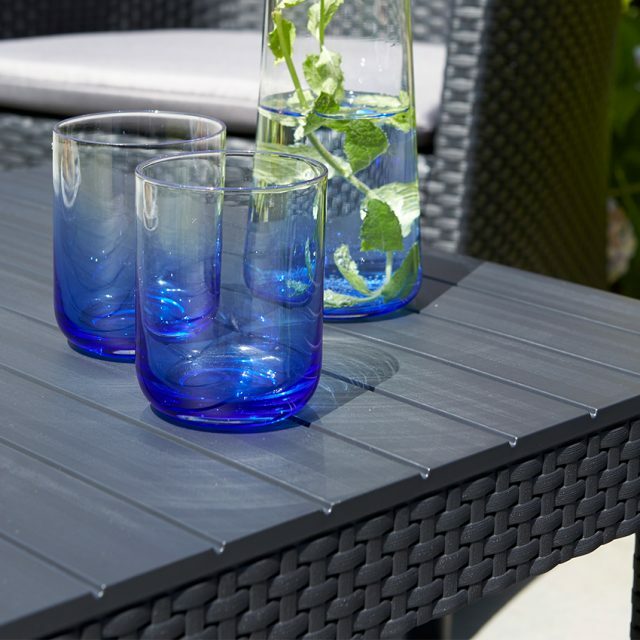 Also the Lyon is multifunctional with its height adjustable feature. 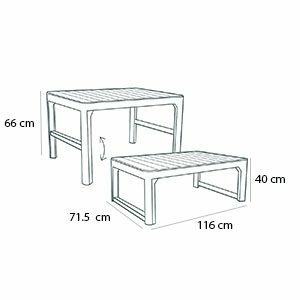 In the lounge position the height is 40 cm while in dining position the table measures up to 66,3 cm. Available in graphite and cappuccino. 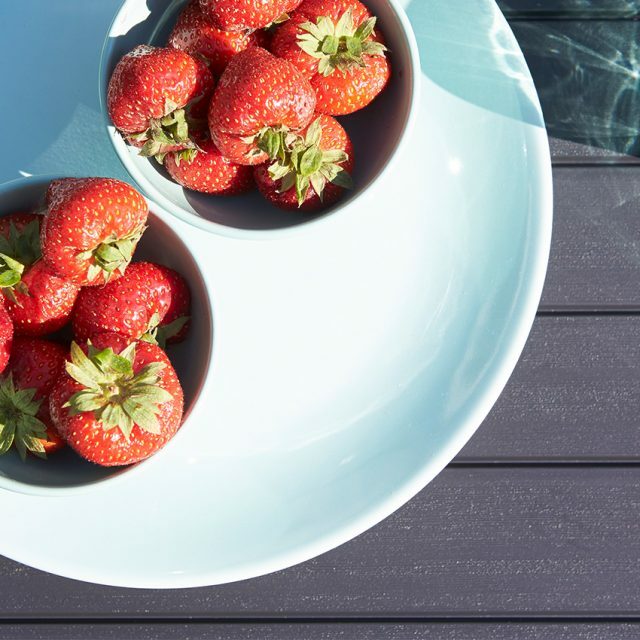 The durable material is weather proof, colourfast, maintenance free and comes with a 3 year warranty. With the Lyon living outside becomes even more fun.